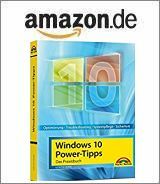 [German]On March 12, 2019, Microsoft released various (security) updates for Windows 7 SP1 and other updates for Windows 8.1 as well as the corresponding server versions. Here is an overview of these updates. Pat Quillan on Is a HP Firmware Update blocking again Third Party Ink Cartridges?